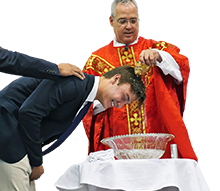 Jesuit's annual spectacular art and food festival, Celebration of the Arts and "A Taste of Jesuit," will be held Sunday, April 28, 2019. As always, Celebration of the Arts and "A Taste of Jesuit" will display the extraordinary talents of Jesuit students in visual, musical, and performing arts, including a Juried Art Show, along with an array of delicious cuisine provided by fantastic vendors serving from tents in the Student Commons. Celebration of the Arts is a free event, however food passes - which are $6.00 each and provide a full meal with samplings from each vendor - must be purchased in advance. 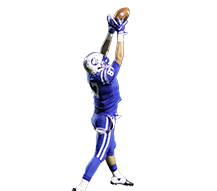 Click here to order food passes for "A Taste of Jesuit" (cash or check only). Jesuit High School was chock-full of extraordinary artistic talent - and fabulous food - on Sunday afternoon April 22 at the annual Celebration of the Arts and "A Taste of Jesuit" festivities. Jesuit's visual artists, under the direction of Kevin Ball '03, once again created an amazing showcase throughout the Multi-Purpose Room for the Juried Art Show. The two highest honors were awarded to seniors in Jesuit's exceptional AP Art program: Ethan Dieck '18 earned Best in Show, and Diego Perez-Aracena '18 was recognized for Best AP Portfolio, with Dieck placing 2nd and Nick Vastano '18 3rd. Dieck, whose AP Portfolio theme was psychological disorders, won Best in Show for his powerful acrylic on utility fabric painting titled "A.D.D." 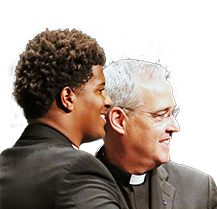 Ball and Dieck are pictured on the homepage, with "A.D.D." between them. Perez-Aracena's AP Portfolio theme was stigmatized human abnormalities, and Vastano's theme was rusted and decaying items. Click here to view a slideshow of the winning artwork (1st, 2nd, and 3rd place) from all 11 categories in the Juried Art Show. Click here for a photo slideshow from the Juried Art Show. Among the other category winners were Robbie Shaffer '19 in two disciplines, Charcoal Studies and Scratchboard, Paul Schnell '19 in Low Key High Contrast, Rodrigo Garcia-Gil '19 in Mixed Media, Tyler Petitt '19 in Pen & Ink, and Loki Fountain '19 in Acrylic Painting. The judges for the show were renowned artist Dr. Jose Rodeiro '67, Debra Malschick of the Savannah College of Art and Design, and local artist Adam Woodard '13, a former AP Studio Art student at Jesuit. Outside in the Student Commons, the hundreds in attendance at Celebration of the Arts enjoyed wonderful theatre and musical performances. 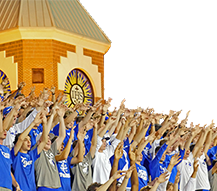 The Jesuit choir, under the direction of Dominic DiCarlo, performed first, followed by stage performances from two of Jesuit's award-winning thespians, Jimmy Grammig '21 and Riley Buchanan '20. Music director Nina Wegmann led Jesuit's musicians through numerous pieces featuring the full range of instruments. Among the highlights were a special arrangement of Camila Cabello's "Havana" featuring Michael McDonough '21 on violin, Joseph Ralston '19 on electric violin, and Jordan Vivero '18 on the keyboard, as well as popular takes on "In the Mood" and "Hot Hot Hot." Jesuit's musicians will perform these numbers and many more, including selections from George Harrison, Elton John, and Nirvana, at their spring concert on Saturday (April 28) at 7:00pm in the MPR. A Taste of Jesuit provided the delicious fare on Sunday. Food tents in the Student Commons served guests an array of outstanding items against the backdrop of Jesuit's new Chapel of the Holy Cross. 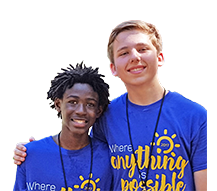 Jesuit expresses its gratitude for all of the vendors who supported Celebration of the Arts 2018: Noble Crust, M&R Catering, Gino's, Florida Fresh Vending, Catering by the Family, and Beef O'Brady's, along with the Jesuit Mothers' Club and Jesuit Dads' Club. 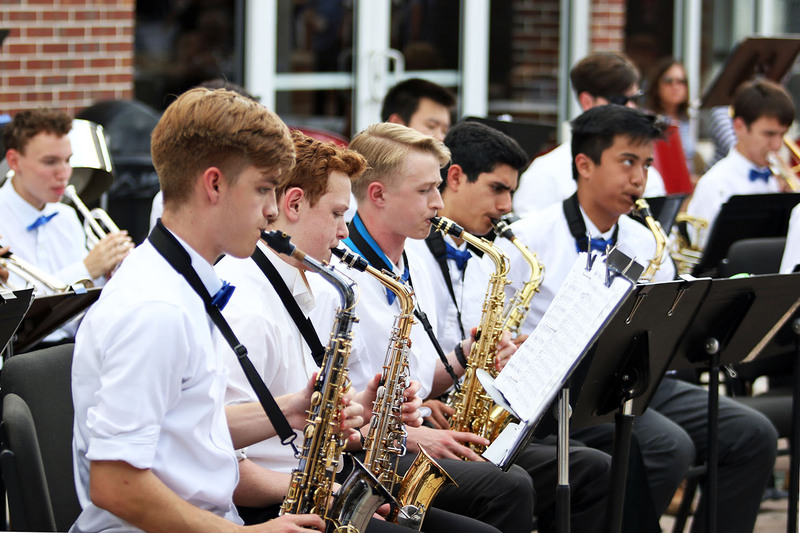 The Student Commons at Jesuit High School was filled with extraordinary artistic talent and great food on Sunday afternoon, April 23, at the annual Celebration of the Arts and A Taste of Jesuit extravaganza. Lucas Ortiz ’17 and Rhett Broz ’17 earned 2nd and 3rd, respectively, in Senior Portfolio. Among the other 1st place winners were Nathan Wegner ’17 (Teacher Commission Project), Quintin Hoggard ’18 in two categories (Edible Aesthetic and Touch of Color), and Bryce Bailey '18 in two categories (Low Key High Contrast and Pen & Ink). Among the judges evaluating the hundreds of pieces of student art was Emiliano Settecasi ’13, a former student of Mr. Ball’s who won Best in Show at Celebration of the Arts 2013 and is a professional painter. Also serving as judges were Sister Lisa Perkowski, a Studio Art teacher at Academy of the Holy Names, and Jason Ault, a professor at The Art Institute of Tampa. Click here to view all of the winning art pieces, click here for a photo slideshow from the event, and click here for a text list of all winners. The hundreds in attendance also enjoyed wonderful theatre and musical performances in the Student Commons. Noah Armenia '17 and Lucas Pasquier '17 highlighted the stage performance with an improvisational routine in the middle of the Commons. Music director Nina Wegmann led Jesuit's musicians through nine pieces featuring the full range of instruments. Among the highlights were songs from "Star Wars: The Force Awakens," "Indiana Jones," and "The Lion King." Pianist Jordan Vivero '18 wrote a special arrangement to "Dog Days Are Over" that featured an electric violin solo by Joseph Ralston '19, and the guitar ensemble performed Eric Clapton's classic "Tears in Heaven." Jesuit’s musicians will perform these numbers and many more at their spring concert on Saturday (April 29) at 7:00pm in the MPR. A Taste of Jesuit provided the delicious fare on Sunday, with food tents serving guests in the Commons. 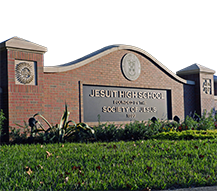 Jesuit is grateful for all of the vendors who supported Celebration of the Arts 2017: Beef O’Brady’s, Catering by the Family, Florida Fresh Vending, Gino's, Little Greek, PDQ, and Tastes of Tampa Bay, along with the Jesuit Mothers’ Club and Jesuit Dads’ Club. The flawless weather on Sunday, April 10 set the perfect backdrop for Celebration of the Arts and A Taste of Jesuit, Jesuit's annual spectacular art and food festival. Jesuit's visual artists, under the direction of Kevin Ball '03, once again created a stunning display in the Multi-Purpose Room for the Juried Art Show. Claiming highest honors in the top categories, from a field of outstanding artists, was Calvin Scott ’16. Scott earned 1st place in the Senior Portfolio category, as well as Best in Show for his colored pencil on illustration board piece. Danny Kervin ’16 and Jacob Zelen ’16 earned 2nd and 3rd, respectively, in Senior Portfolio. Among the other 1st place winners were Victor Bufano ’16 (Teacher Commission Project), Will Sands ’17 (Junior Scratchboard),and Justin Sanchez ’17 in three categories: Junior Pointilism, Junior Pen & Ink Studies, and Junior Acrylic Painting. Click here to view all of the winning art pieces in a PowerPoint (it may take a minute to load), and click here for a text list of all winners. Evaluating the hundreds of pieces of student art and serving as judges were Sarah Thornhill of the Fashion Institute of Design and Merchandising; Erin Franklin, visual arts teacher at the Academy of the Holy Names, and Jorge Cainas ’11, a former art student of Mr. Ball’s at Jesuit. Hundreds of guests enjoyed wonderful theatre and musical performances showcased in the student commons. Vito Holmes ’16 beautifully sang “Pure Imagination” from the classic “Willy Wonka & the Chocolate Factory,” for which he has earned District and State awards. That was followed by the Jesuit Masque, led by director Richard Miller, performing two scenes: The first was from Ace Cabalan 16’s prize-winning original play, "Fuoco e Acqua," and the second was from the Broadway and cinema classic “A Few Good Men,” Jesuit’s upcoming spring production on April 21-23. Music director Nina Wegmann then led Jesuit's musicians through an array of pieces featuring the full range of instruments. One of the highlights was an electric violin performance from Spencer Whipple ’16. 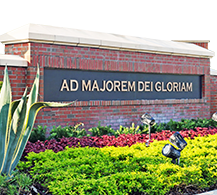 Jesuit’s musicians will perform their spring concert on April 29, as well as special concert for the student body at Convocation on Mission Drive Day, April 22. A Taste of Jesuit provided the delicious fare on Sunday, with food tents serving guests in the commons. 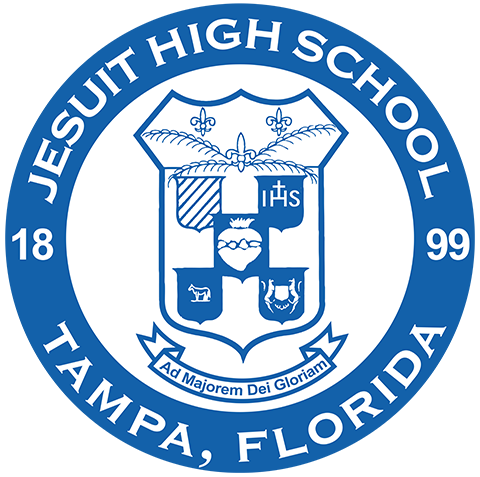 Jesuit thanks the vendors who supported Celebration of the Arts 2016: Beef O’Brady’s, Catering by the Family, Florida Fresh Vending, Little Greek, PDQ, and Tastes of Tampa Bay, along with the Jesuit Mothers’ Club and Jesuit Dads’ Club.